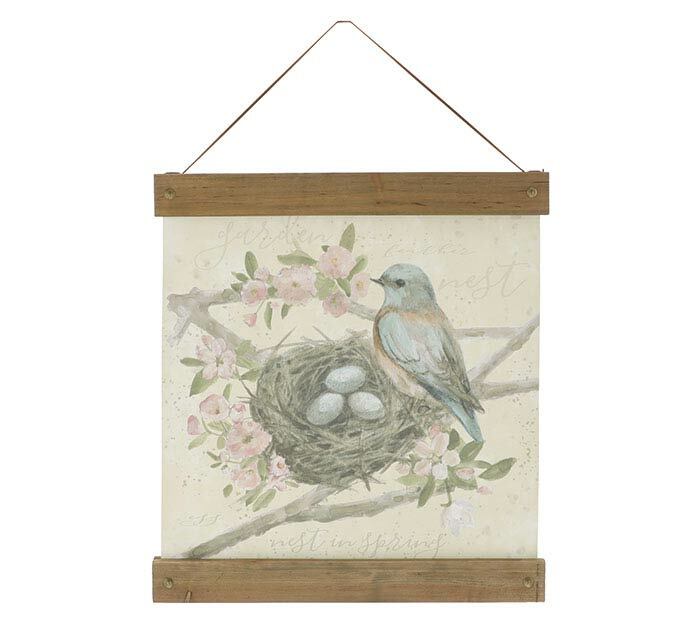 Screen printed canvas wall hanging with watercolor bluebird perched on a nest with eggs in a pink flower tree. 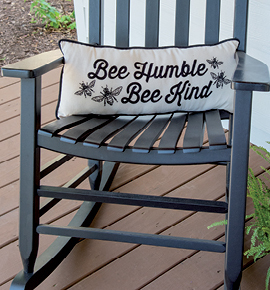 Wood trim accents top and bottom of canvas and include rope hanger. 15" H x 13 1/2" W.
20" H with rope hanger.